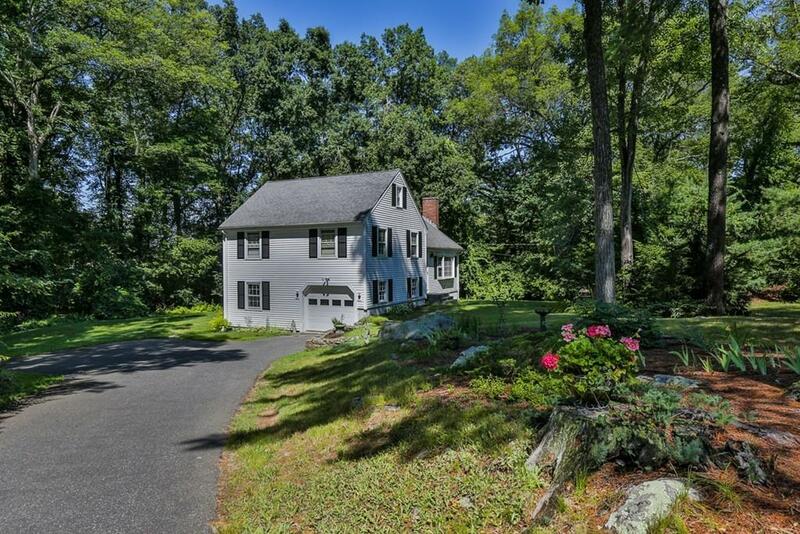 This gorgeous four-bedroom, two-bathroom multi-level Colonial is a 'one owner' treasure tucked away on a pristine 3/4 acre landscaped lot, just blocks from Ashland center. The main floor features hardwood floors, spacious living room, fireplace and tons of natural light from the large bay window. The bright and sunny kitchen opens directly to the dining room overlooking the newly expanded backyard. The second floor boasts hardwood floors throughout, a large master bedroom and two additional bedrooms and full bathroom. The third floor features an oversized fourth bedroom (or bonus room) with hardwood floors and large closet. The lower level, with direct access to the garage and backyard, has half bath and finished space for a family room or office. BRAND NEW SEPTIC SYSTEM plus two-year-old furnace and water heater. This beautiful home is close to all major commuter routes, the MBTA Boston/Worcester line and Ashland schools. SELLER OFFERING $2,500 TOWARDS NEW KITCHEN APPLIANCE PACKAGE!! Listing courtesy of David Christensen of Bean Group. Listing provided courtesy of David Christensen of Bean Group.